ABBA were one of the biggest pop acts in the 1970s, with a string of major hit singles and albums all over the world. ABBA came to world attention when they won the Eurovision Song Contest with ‘Waterloo’ back in 1974. Easily the most commercially successful group of the 1970s, ABBA became the focus of a revival in the early 1990s, when its Abba Gold album topped charts around the world. Abba’s whole-some image and buoyant, catchy records made the group international pop stars (Nelson Mandela once declared Abba his favorite pop group) and the second most profitable corporation on the Stockholm stock exchange. 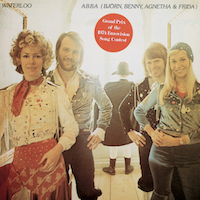 In more recent years, Abba’s enduring appeal has manifested itself in the Australian Abba impersonators Bjorn Again, Erasure’s #1 U.K. cover EP Abba-esque, and the A*Teens, four Stockholm-based singing and dancing youngsters who deal in pimple-pop updates of Bjorn and Benny’s most beloved material. Featuring 22 Abba songs, Mamma Mia! , created by Andersson and Ulvaeus, became a hit musical in London in 1999, reaching the States in 2001. 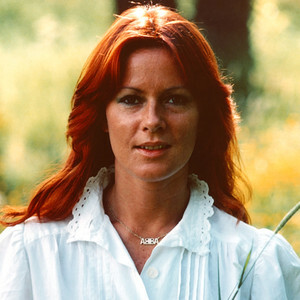 ABBA’s guitarist/vocalist, song-writer and producer. ABBA’s keyboard player/vocalist, song-writer and producer. 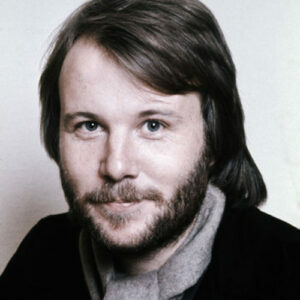 In June 1966, Björn Ulvaeus (born 1945) met Benny Andersson (born 1946) for the first time. Björn was a member of the Hootenanny Singers, a very popular folk music group, while Benny played keyboards in Sweden’s biggest pop group of the 1960s, The Hep Stars. Andersson met Bjorn in June 1966, and the two started writing songs together, their first being “Isn’t It Easy To Say”, eventually recorded by the Hep Stars. He also had a fruitful songwriting collaboration with Lasse Berghagen, with whom he wrote several songs and submitted “Hej, Clown” for the 1969 Melodifestivalen – the Swedish Eurovision Song Festival finals. The song finished in second place. During this contest he met vocalist Anni-Frid Lyngstad, and they soon became a couple. Around the same time his songwriting companion Ulvaeus met vocalist Agnetha Fältskog. The personal relationships and Andersson and Ulvaeus’ songwriting collaboration has led quite naturally to the very close co-operation which the four friends had during the following years. Benny and Björn scored their first hits as songwriters in the spring of 1969: “Ljuva sextital” (a hit with Brita Borg) and “Speleman” (a hit for the Hep Stars). As the two couples began supporting each other during recording sessions, the sound of the girls’ voices convinced the songwriters to model their ‘group’ on various MOR acts such as Blue Mink, Middle of the Road and Sweet. Thus, ABBA came to life. ABBA first began when Benny Andersson of The Hep Stars and Björn Ulvaeus of The Hootenanny Singers collaborated on an album in 1970. 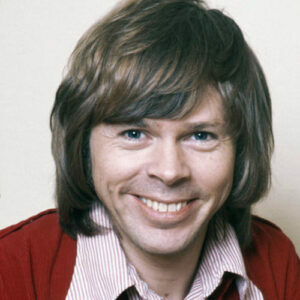 Ulvaeus then married singer Agnetha Faltskog who also collaborated with the pair, and the line-up was completed when Anni-Frid ‘Frida’ Lyngstad met Andersson at Melodifestivalen and they began dating. The name ABBA is an acronym of the band members’ first names (Agnetha, Benny, Bjorn and Anni-Frid). Before they were officially formed, they played their first live performance on holiday in Cyprus in front of some United Nations soldiers. There first hit was ‘Hej, gamle man’ though it was credited only to Björn & Benny. 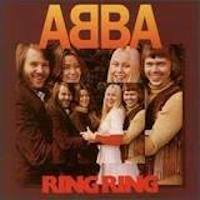 ABBA released their debut album ‘Ring Ring’ in 1973 and it reached number 2 in the Swedish charts – the only album not to reach number one. They attempted to enter Melodifestivalen with the title single, but failed to qualify. The following year, they won the Eurovision Song Contest with their single ‘Waterloo’ which became a UK number one chart hit. Their follow-up single ‘Honey Honey’ was not as successful, and neither was their subsequent European tour during which some dates had to be cancelled due to lack of demand. They were, however, warmly welcomed in Scandinavia. In 1975, their self-titled album and single ‘SOS’ brought them more UK recognition with the album reaching number 13 and the single reaching number 6. Their later single, ‘Mamma Mia’, reached number one. They gained popularity in Australia when the videos for ‘I Do, I Do, I Do, I Do, I Do’ and ‘Mamma Mia’ were played on the music show ‘Countdown’. In 1976, they reached number 1 in the UK charts with their first compilation album ‘Greatest Hits’. On it was a new single, ‘Fernando’, which topped the charts in 13 countries, sold 10 million copies and tied with The Beatles’ ‘Hey Jude’ for longest-running number one in Australia. That year they released their fourth album ‘Arrival’ – another number one which garnered much attention from rock based publications. It produced the hits ‘Money, Money, Money’, ‘Knowing Me, Knowing You’ and ‘Dancing Queen which became their biggest selling single topping the charts across the world. In 1977, they were nominated for a BRIT Award for ‘Best International Album of the Year’. In 1977, they embarked on a major Europe and Australia tour which attracted much media attention and for which the box office received 3.5 million ticket requests for their Royal Albert Hall gig which would’ve been enough people to fill the venue 580 times. They played a gig at Sydney Showground in spite of a downpour of rain which caused Lyngstad to slip on stage. Later that year, the film ‘ABBA: The Movie’ was released directed by Lasse Hallstrom. They also released their fifth album ‘ABBA: The Album’; another UK number one which included the hits ‘The Name of the Game’ and ‘Take a Chance on Me’. In 1978, they converted a movie theatre into Polar Music Studio and performed with Andy Gibb on Olivia Newton-John’s TV show in America. The following year, they performed ‘Chiquitita’ at the Music for UNICEF Concert and subsequently donated the single’s copyright to the charity. That year, Ulvaeus and Fältskog announced their divorce but they insisted that it wouldn’t affect the group. 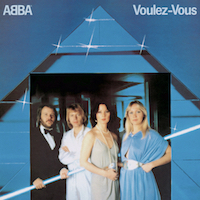 They released the album ‘Voulez-Vous’ which included the songs ‘Does Your Mother Know’ and ‘Angeleyes’. They also released ‘Greatest Hits Vol. 2’ debuting new single ‘Gimme! Gimme! Gimme! (A Man After Midnight) ahead of their North American and Europe tour. In 1980, they released the single ‘The Winner Takes It All’ which was speculated to be about Ulvaeus and Fältskog’s divorce, though Ulvaeus has strongly denied this. 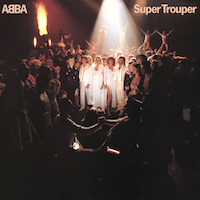 Their final UK chart-topping single was the title track from their seventh album ‘Super Trouper’. In 1981, Ulvaeus married Lena Källersjö while Andersson and Lyngstad announce their divorced, after which Andersson married Mona Nörklit. 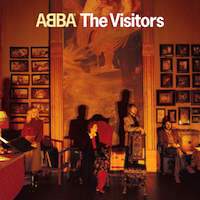 The band also released their final album ‘The Visitors’ which was not as commercial successful as their previous works. The group’s last hit single ‘One of Us’ was a global hit in December 1981. ABBA disbanded at the end of 1983, collectively deciding to take a break and pursue their individual projects. They made their last performance together on ‘The Late, Late Breakfast Show’ in 1982. ABBA have been revived in several movies including ‘The Adventures of Priscilla, Queen of the Desert’ and ‘Muriel’s Wedding’ in 1994. The musical ‘Mamma Mia’, based on the songs of ABBA, premiered in London in April 1999. The film ‘Mamma Mia’, starring Meryl Streep and Pierce Brosnan, was released in 2008 and has become one of the most successful musical films of all time. In 2010, they were inducted into the Rock and Roll Hall of Fame. Estimates of ABBA’s worldwide sales vary from 300–400 million, making them the second most successful band of all time, after The Beatles. They were the first mainland European act to become regulars on the British, American and Australian pop charts. This helped pave the way for many other European acts and established Sweden in the mainstream music industry. Frida is the only non-Swedish member of ABBA – she is Norwegian. 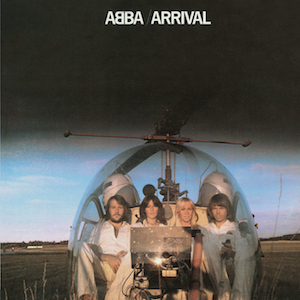 “ABBA Gold” has occupied every position in the top 75 of the U.K. album chart, while also appearing in the chart every year since the release except for 2002 and 2006. It now jointly holds the title of longest time spent in the album charts (490 weeks in the Top 100) with “Greatest Hits Vol 1” by Queen. 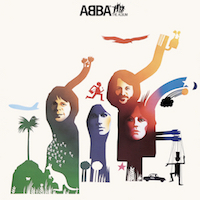 “ABBA Gold” has sold over 28 million copies worldwide. 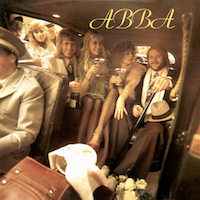 It is Abba’s most successful album and one of the biggest-selling albums of all time. It is the third biggest selling album of all-time in the UK with sales exceeding 4.6 million copies. The band only ever toured 3 times in its history. This was mainly to do with them wanting to be the headliner and not the opening act. In fact, they had only played 23 live dates in total before their 1979 tour in support of “Voulez Vous”. That tour was the only time the band toured North America and would also prove to be their last world tour. As of 2008, more than 30 million fans worldwide have seen the stage production “Mamma Mia!” When adapted for the screen, Mamma Mia! (2008) went on to become the most successful movie in the UK’s box office history, outstripping the record heretofore held by the Harry Potter series. All four members of the group were the first-born children in their respective families. Anni-Frid Lyngstad was an only child. The other three each had one sister and no brothers. “Dancing Queen” is their only US number single. They scored 9 other top 20 hit singles on the U.S. Billboard Hot 100 between 1974 and 1980. DO YOU KNOW ANY OTHER AMAZING ABBA FACTS? JUMP ON THE BJORN AGAIN FACEBOOK PAGE AND LET US KNOW!